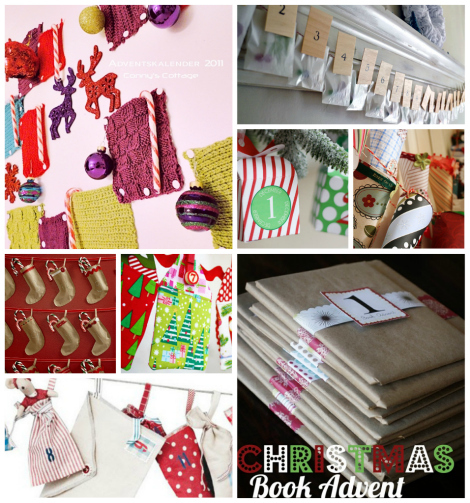 You may only have 2 days to go until those advent calendar need to be hung, but it's not to late to get one started. This would be my favorite, although you are not likely to get this crocheted advent done in 2 days! It's by Germany blogger Conny's Cottage. This idea of paper bags & balsa wood from burlap + blue gets 10/10 for simplicity. Wants and Wishes printable Advent present boxes. Need more? Head to Modern Parents Messy Kids for another 20 Advent Calendar ideas. These are beautiful, and so inspiring! I think I'll have to wait till next year though. This year I'll stick with recycling the old paper calendars with the picture windows. Sarah that is a fantastic idea! Never thought of that. I love the advent book idea! We love to read at our house.